05.05.2013: Adding more Godzilla fans to the mix! Hey folks, it’s Cinco De Mayo and it’s been a while since we’ve added some new voices to the mix! Meet Julian and Sean, two local Godzilla fans who I am quite happy to add to our current roster of disembodied talkers. 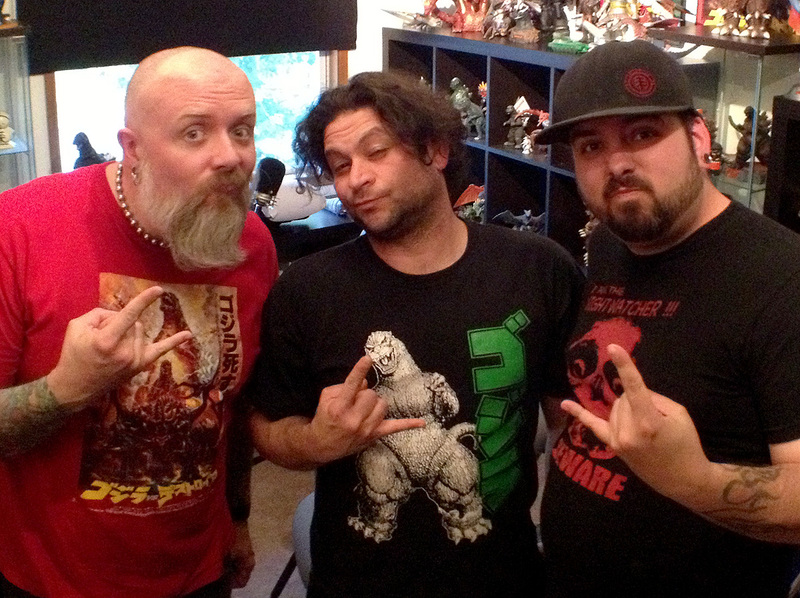 I asked them over for their debut episode and we just shot the breeze about all things kaiju. Hopefully you will enjoy them on the show as much as I did talking to them. Juian used to work at Atomic Comics back in Arizona and Sean is a Portland native and both suggested song or two for the episode. They be showing up on future episodes – wow, I’m really starting to cull together a little group of fans in the Portland area. Maybe this podcast is good for something after all! Don’t forget to submit your homework for our next Daikaiju Discussion! We are watching Ghidorah, The Three-Headed Monster (1964) on May 23rd so make sure you turn your homework in by submitting your thoughts questions and reviews beforehand!